whew! 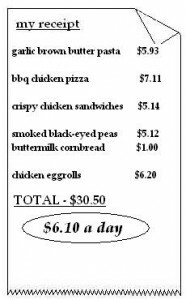 time passes by so quickly and it is once again time for $30 for 5 meals! it is burning up hot outside and school for the kids is about over. with 4 kids about to be home from school, i am looking for quick meals that take no time to make. these meals are not only quick to make but good too! 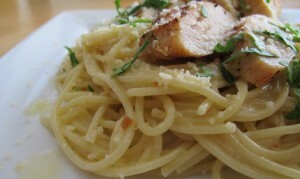 garlic brown butter pasta with roasted chicken – brown butter has a delicious flavor. it is nutty, velvety and the aroma alone makes your mouth water! this time, we are simply pairing brown butter with fresh garlic, pasta and roasted chicken. it is topped with parmesan cheese and some cilantro to freshen it up a bit. 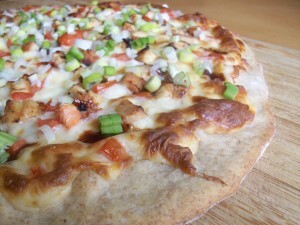 bbq chicken pizza – the flavors of this pizza are all over the place. first, you have the smoky grilled bbq chicken, then you have the sweet bbq sauce, and the buttery cheese. the flavors come together perfectly giving you an amazingly flavorful pizza. 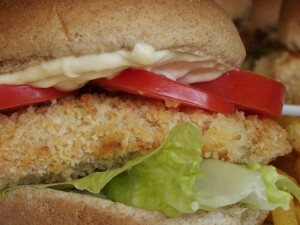 crispy chicken sandwiches with garlic mayo – this chicken is crunchy on the outside and juicy on the inside! top it with my garlic mayo and you have one incredible sandwich. great with a veggie or some potato chips! 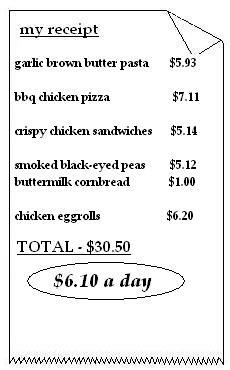 smoked turkey black-eyed peas – i love crock pot meals! 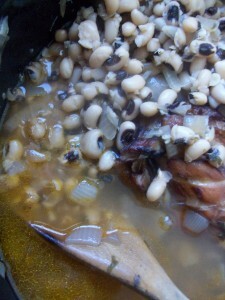 the black-eyed peas get to sit in the rich broth made from a smoked turkey wing and other spices for 8 hours. take the time to make extra and freeze! homemade buttermilk cornbread – this buttermilk cornbread is the perfect pair to soak up all the goodness. chicken egg rolls – these chicken egg rolls are hearty and delicious. 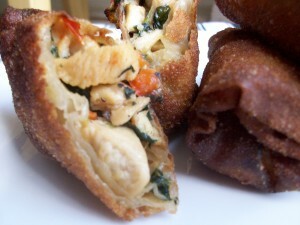 they are filled with chicken, spinach, bell pepper, fresh garlic and onion. for a little bit of creamy, there are sprinklings of provolone cheese. how did we do? let’s check out the receipt. okay, let me know how you liked these meals along with your own unique touches. and don’t forget to send in your great tasting meals! 🙂 see you next month!